This Briton DIN Sashlock is a good all-rounder and passes crucial tests and requirements for commercial premises for fire-rating, endurance & performance, and requirements for disability-friendliness. 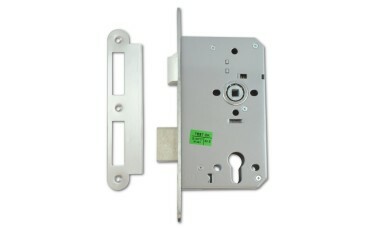 Operated by a euro cylinder (not included), these lock cases have been designed to the exact specification of DIN requirements (DIN18251), giving the 72mm centres measurement (between the handle and the cylinder), and the 60mm backset (ensuring the handle is far enough away from the door frame). 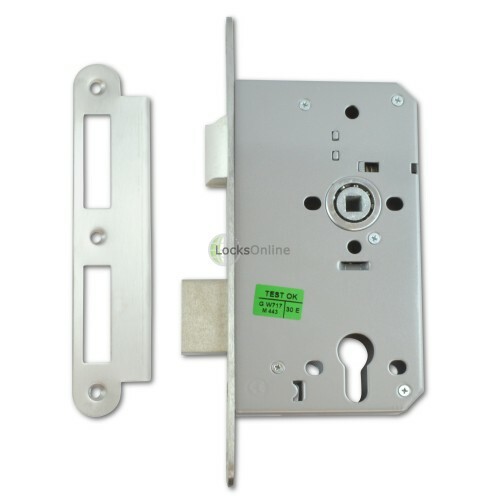 Further to this, these have been tested and approved under the EN-12209 standard, as well as being included in a successful EN-1634 time test (relating to its ability to be used on fire doors). With its stainless steel faceplates, these will effectively resist corrosion and also look great - in both the square-ended and radius-ended faceplates. Backed by a full 5 year guarantee, you can be sure to rely on Briton's good name with this lock!